Top: From left, Roma Moulding’s copywriter and PR specialist Francesca Spizzirri; on the right, Roma Moulding’s marketing project coordinator Melissa Di Chiara. 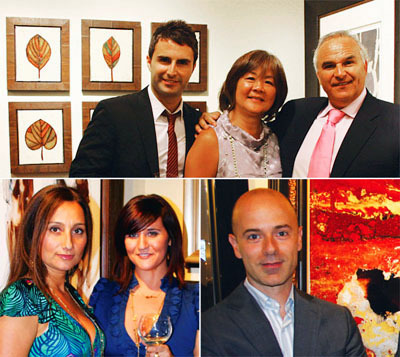 Bottom left: From left, Roma Moulding’s vice president and chief designer Tony Gareri; centre: Roma Moulding’s creative director Maria Hoo; on the right, Roma Moulding’s president John Gareri. Bottom right: Roma Moulding’s director of operations Joseph Talotta.